I have the chance to give one of these fantastic, easy to use, spiralizers away to a reader so make sure to use the rafflecopter widget below to enter! Don't miss any of the giveaways going on now! Visit the Giveaways Page and enter to win the items you're interested in (everything from a personalized blanket or puzzle to a wine opener set and more right now)! I actually have 3 zucchini that I just bought at home calling to me - I am pretty sure that coconut shrimp recipe below might be making an appearance on the blog soon! What kind of vegetables work best with the slicer? Zucchini, Yellow Squash, Carrots, Parsnips, Sweet Potatoes all work very well in the slicer. Is My Spiral Slicer dishwasher safe? Do I need to cook the vegetable noodles? For zucchinni, no cooking is necessary. Other vegetables just require a minute or two of light cooking. 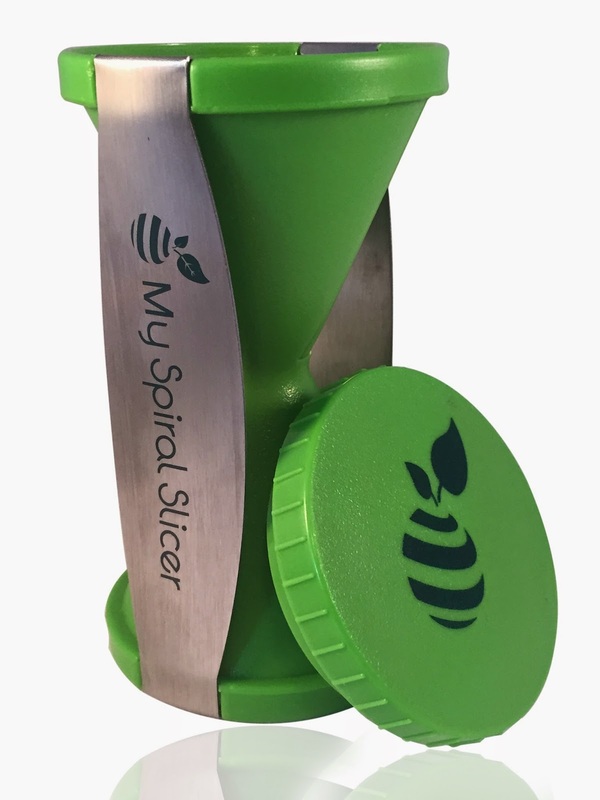 *Full Disclosure: I received complimentary product from My Spiral Slicer for the purpose of review. I received no compensation for this post. All comments are 100% accurate and 100% my own. Zuchinni Pasta with a Lemon Basil Sauce. French fries with garlic and/or truffle oil! French Fries - hands down! How can you go wrong with fries? I think I would slice up a zucchini and pretend it was spaghetti. I am seeing a French fry theme - definitely have to give that a try soon! i would make string carrots! I would use it to make zucchini with marinara! I'd make zucchini pasta with tomatoes and basil. I think I would spiralize everything. First... whatever available... probably carrots. I would make spicy carrot with chicken salad! I would make zucchini spaghetti. I have wanted one of these for well over a year so I can start to eat a bit healthier. I would make "pasta" out of zucchini......I have so many recipes that I could enjoy once again! i would make spaghetti squash "noodles"
I would make zucchini pasta! I'd spiral some zucchini in place of pasta for soup. I've really wanted to make zucchini pasta. I would love this because I've been trying to cut out the simple carbs and this would really help. I would make my own curly fries and let the kids go nuts with whatever toppings they wanted! Veggies to sneak into meals! I wish I had this last summer when I had an abundance of zucchini. I would make zucchini pasta. Thanks. My kids would absolutely love if I made curly fries first...and I probably would! 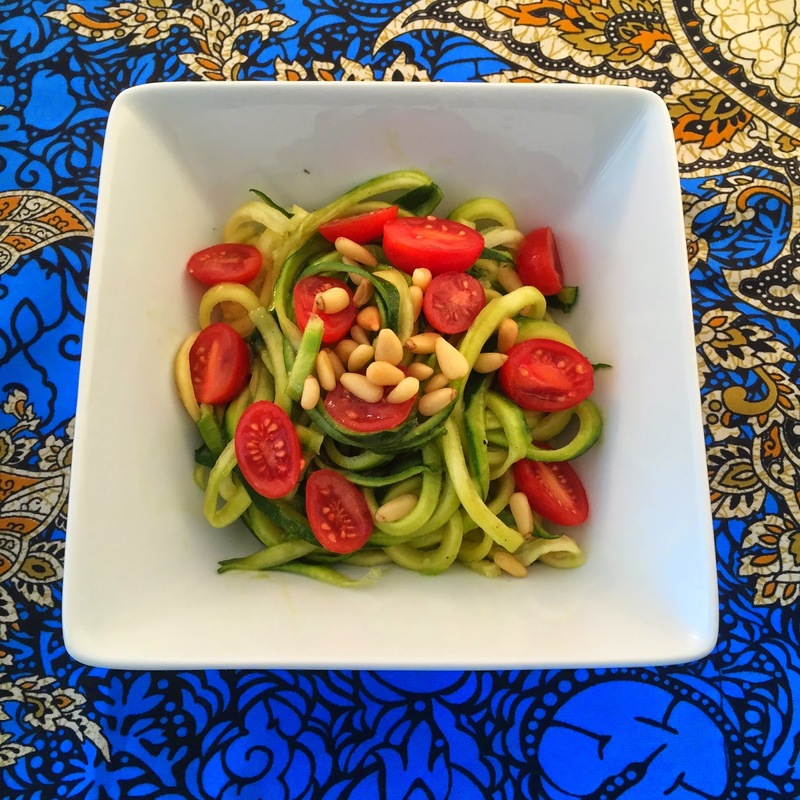 First I would make zucchini and summer squash "noodles". I would make zucchini spaghetti. French fries for the kids! I will make some vegetable noodles. I would try the zucchini or spiral carrots - yum!! I'd make some kind of french fries! The coconut shrimp over zucchini pasta sounds incredible! I would make curly fries!!!! Curly Fries! =) Then we wouldn't have to buy them!